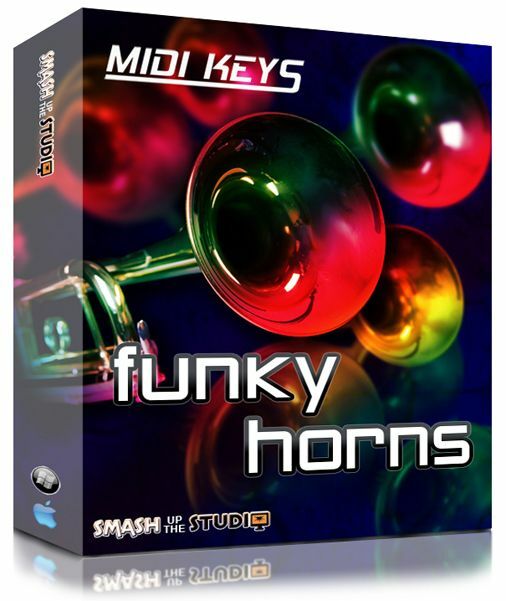 Funk up your tunes with this ultra cool selection of Midi horn phrases. Disco, Funk, Soul, RnB, Hip Hop and Pop. of the riff and the tempo in order to make the phrase work perfectly in your track. plug-ins on the market now that it is possible to achieve some very realistic results. more laid back sustained harmonies. 62 loops in total.